Pittsboro, NC – Hard to believe summer is over, but it’s time to start thinking about Fall Excursions with Chatham Conservation Partnership (CCP). 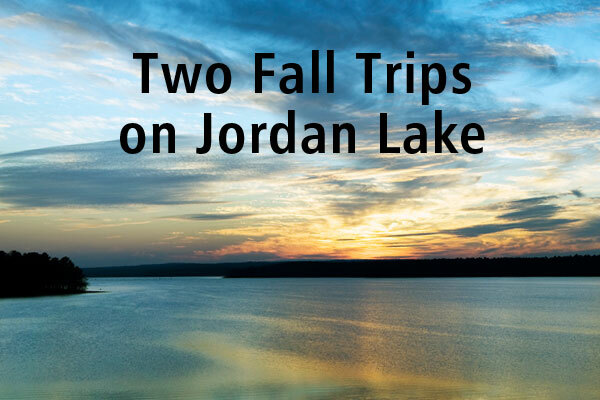 CCP has two programs on the calendar for Fall 2013 – a Weaver Creek Paddle and a a Fall Foliage Boat Tour on Jordan Lake. The Weaver Creek Paddle is a free event on Sunday, September 8, 2013. The 1:30 PM trip is full, but a few spots are still left for the 4-6:30 PM paddle. Weaver Creek is on the Southeastern side of Jordan Lake, off U.S. 1 near Moncure. On a topo map, it’s just south of Little Beaver Creek and Big Beaver Creek. October 19, 2013, 2:00-4:00 PM. Join Captain Don Watkins of Triangle Boat Tours for a Fall Foliage Tour of Jordan Lake on his luxurious 24-foot pontoon boat with comfortable seating and plenty of shade. All ages welcome! Tour includes ice-cold soft drinks, bottled water, and complimentary gourmet dip and chips – plus binoculars for viewing the bald eagles. Guests are welcome to bring food and beverages as well. Captain Don handles every detail, so you can just show up for true quality time with your family and friends! This trip is limited to 12 people. Please arrive 15 minutes before your tour start time. Tour boarding location is the Boat Ramp at Seaforth Recreation Area at Jordan Lake on US 64. Map and directions: www.ncparks.gov/Visit/parks/jord/pics/seaforth.pdf. Captain Don is partnering with Chatham Conservation Partnership to offer this special trip to the general public at a per person charge of $25 for adults and $15 for children. Call Triangle Boat Tours at 919-585-1488 to register for this trip (rain date is November 2nd ). For more information, visit Chatham Conservation Partnership.